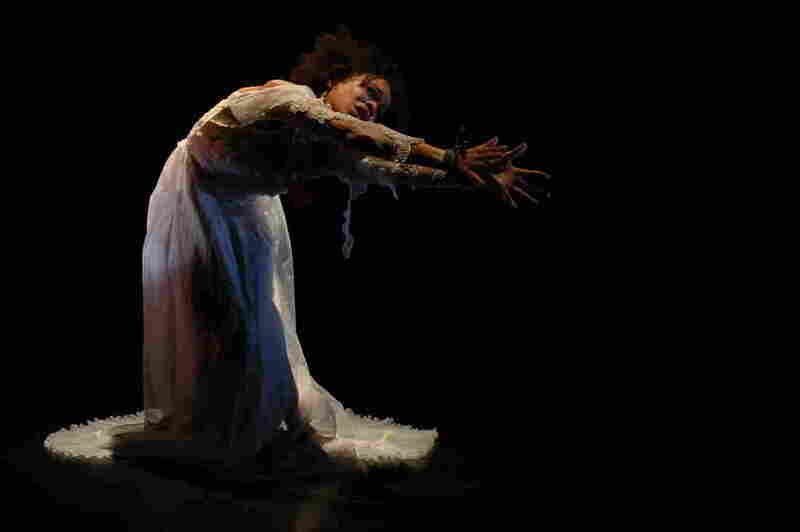 Dancer Preserves The Work Of Black Choreographers, In One Video At A Time When she was in her 20s, dancer Gesel Mason started emailing choreographers she admired, asking them to create a solo for her. To her surprise, many of them said yes. 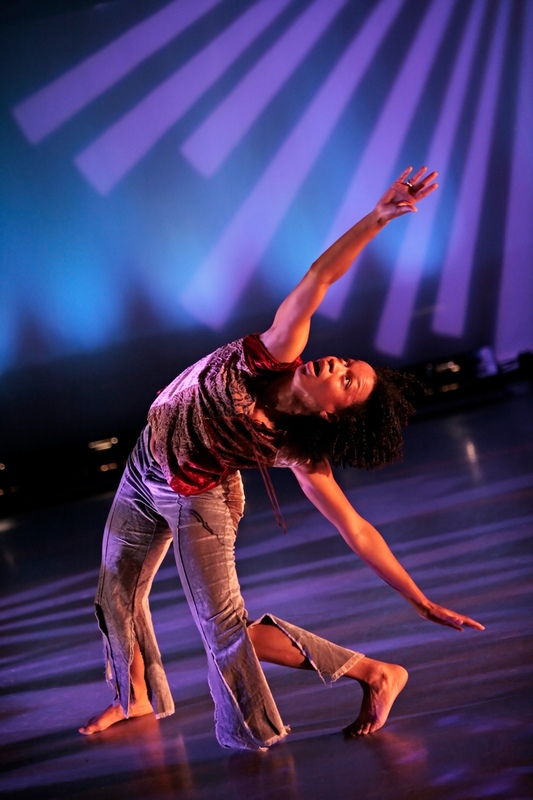 Gesel Mason performs David Roussève's "Jumping the Broom" as part of her performance project No Boundaries: Dancing the Visions of Contemporary Black Choreographers. When she was in her 20s, dancer Gesel Mason started emailing black choreographers she admired, asking them to create a solo for her. To her surprise, many of them said yes. "I did not know I was making my life's work when I started it," she says. "I was just really interested in dancing with some choreographers." Mason performs Donald McKayle's "Saturday's Child." McKayle died in April at the age of 87. 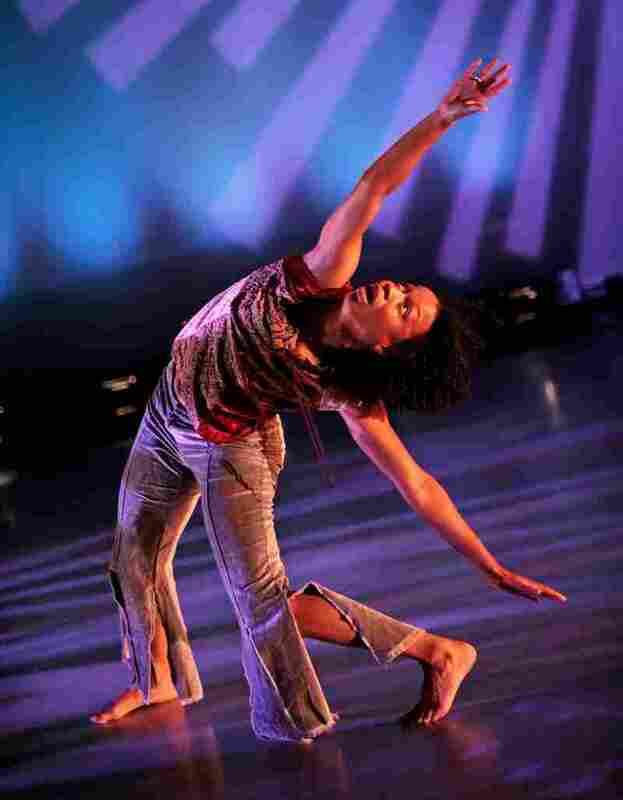 For 15 years, she's performed these solos, calling the combined effort No Boundaries: Dancing the Visions of Contemporary Black Choreographers. 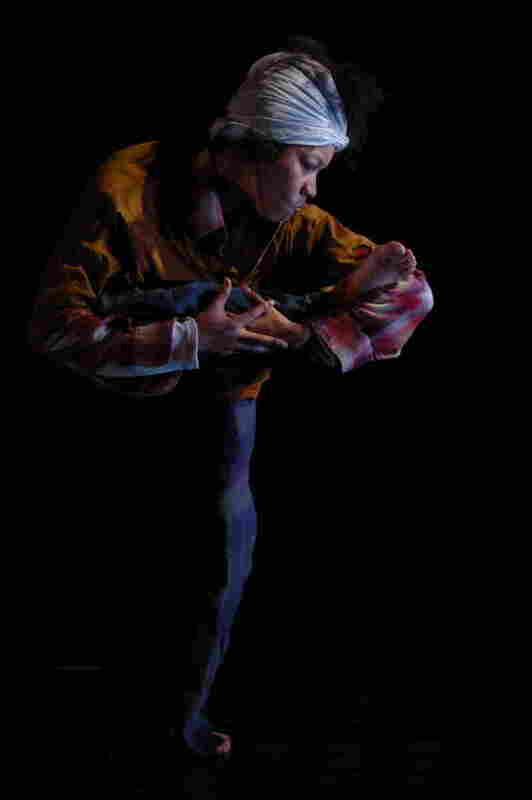 Mason has performed these dances around the country, sometimes as many as seven in a single show. "Now in my 40s, I can't keep doing this," she says. As Mason gets older, so do the choreographers. Broadway and modern dance choreographer Donald McKayle taught Mason a dance he created in 1948 called "Saturday's Child," danced to a poem about poverty by Countee Cullen. McKayle died in April at 87. Mason has now turned her focus to creating a digital archive, highlighting 10 black artists relatively unknown to the general public. "Folks, when they think of black choreographers of the 20th century or contemporary black choreographers, for mainstream folks, it's Alvin Ailey," says Amma Ghartey-Tagoe Kootin, an assistant professor at the University of Georgia, who is helping Mason. "Am I missing somebody? Debbie Allen if they're coming from the Fame generation." Rennie Harris' "You Are Why!" In dance, choreography is typically passed down generation to generation through personal contact. There's also a written notation called Labanotation, but that requires special training. So Mason has turned to video, collecting hours of performance and rehearsal footage. She wants to film these dances from multiple angles, zooming in to catch the tiniest of details. "You can get close and you can see the fingertips and you can see the sweat," she says. Mason has also recorded interviews with the choreographers, talking about their lives and what motivates them to create dances. Excerpts from Gesel Mason's "No Boundaries"
"Sometimes I do want to make something that's just pretty," contemporary choreographer Kyle Abraham told her. "But more times than not I'm really interested in work that can kind of spark questions, passion, love, empathy, anger — just get people charged in some capacity." Mason performs Jawole Willa Jo Zollar's "Bent." Eventually, Mason would like to add more artists to the project. "We know that this is just a small snapshot of what's going on in regards to black choreographers," she says. Tina Curran, an expert in dance documentation at the University of Texas at Austin, says Mason's archive is a great example of what she calls "living legacy of dance"; the totality of the project's research, video and interviews makes it invaluable. "The fact that she's digging down in creating such a rich and diverse archive — it's critical, it's so important to our field," Curran says. Mason is moving to Austin this summer to take a job at the University of Texas, where she will be working on her archive. She hopes the new site, showcasing material she's collected over the last 15 years, will go up within the next year. Gesel Mason performs David Roussève's "Jumping the Broom"